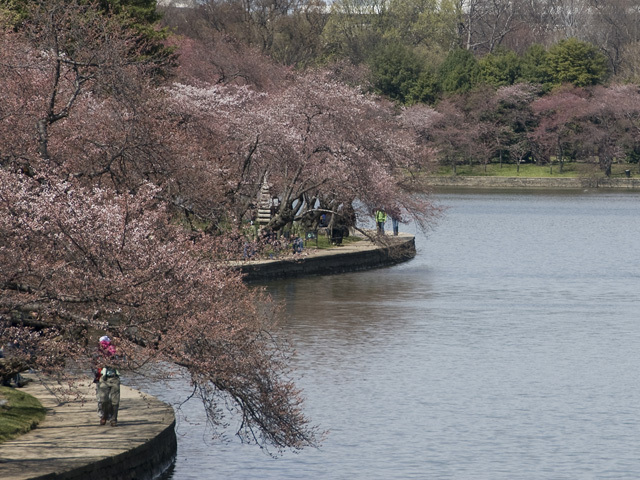 Along with spring's explosion of cherry blossoms, the Basin offers enlightenment and beauty all year long: impressive architecture, historical displays, and relaxing areas to take in the stunning views. 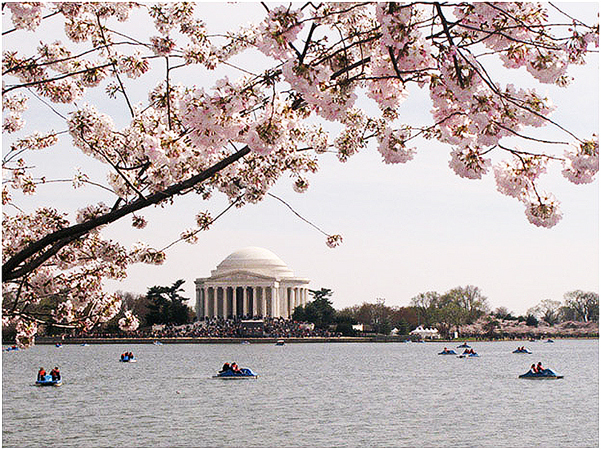 Well known for Washington, D.C.’s spring explosion of cherry blossoms, the Tidal Basin offers history and beauty all year. 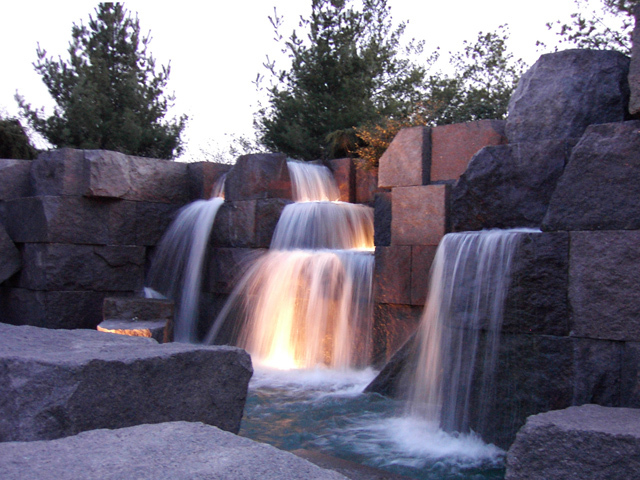 With interesting architecture, historical displays, and relaxing areas to take in the stunning views, the Franklin Delano Roosevelt and Jefferson Memorials should not be missed. The United States Holocaust Memorial Museum explores a serious topic and encourages reflection on an event that is difficult to comprehend. Finally, a visit to the Bureau of Engraving and Printing, where millions of dollars are printed each day, inspires dreams of goodies to purchase or adventures to experience, with just a bit of that money. People tell us all the time that our tours make travel easier and much more interesting. 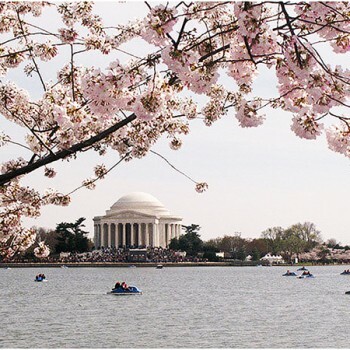 So download this Washington D.C. cherry blossom guided sightseeing tour to your mobile device and come walk with us through the striking beauty of the cherry trees and the majesty of the monuments. Although Washington, D.C. has a good public transportation system, walking is inevitable, so bring comfortable shoes. 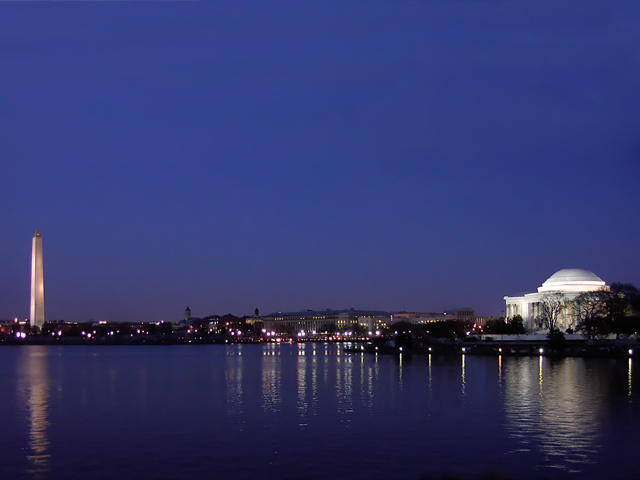 From the Capitol to the Lincoln Memorial, the National Mall is nearly two miles long. The walk around the Tidal Basin is a bit shorter. You can't see everything in one day, but it's a good bet you will do lots of walking. To see the sights and get some exercise, bring your bicycle or rent one; there are many rental companies in the city. 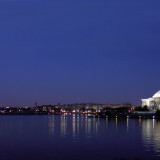 Cycling along the National Mall and around the Tidal Basin is a popular, easy ride. 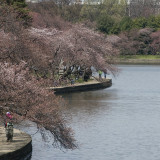 Keep in mind that during cherry blossom season, Tidal Basin crowds make riding that route nearly impossible. Washington, D.C. offers hundreds of free events and festivals every year. The Cherry Blossom Festival brings huge crowds to the Tidal Basin area, and hundreds of thousands of motorcycles rumble into town for Rolling Thunder. The Smithsonian Folk Life Festival introduces international culture to the National Mall, and you never know when you might catch a demonstration or political event. 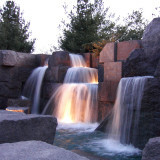 From the Holocaust Museum near the Tidal Basin to the National Gallery of Art and Smithsonian museums along the National Mall, there are dozens of memorable places with free admission. Pack a lunch, grab a bite from a street vendor, or eat light at a museum cafeteria, and you can enjoy one of America's great sightseeing bargains. Depending on the season, the weather can offer everything from snow to blazing sun. When the heat is on, one of the cooler places to be is along the shaded waterfront walkways of the Tidal Basin. It's a great place to sit and relax, have a picnic, and watch the birds, boats, and people. Living in the Washington, D.C. metro area since 1993, Mary Ellen has visited the city hundreds of times. With a camera around her neck and a love of walking, she experiences museums, festivals, monuments, parks and events, and explores places both famous and obscure. This first-hand knowledge allows her to share the inside information that makes visiting the city more fun. SKU: MD060268. Categories: District of Columbia, United States. Tags: City/Town, District of Columbia, Historical/Heritage, Mary Ellen Dawley, United States, Washington.